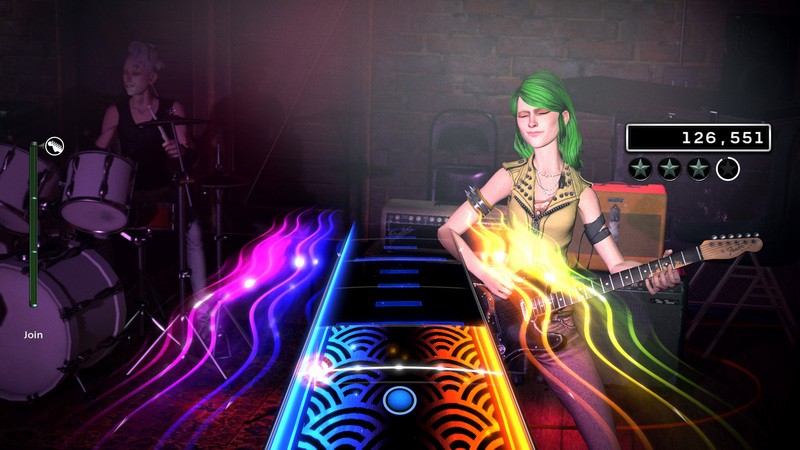 Developed by Harmonix. 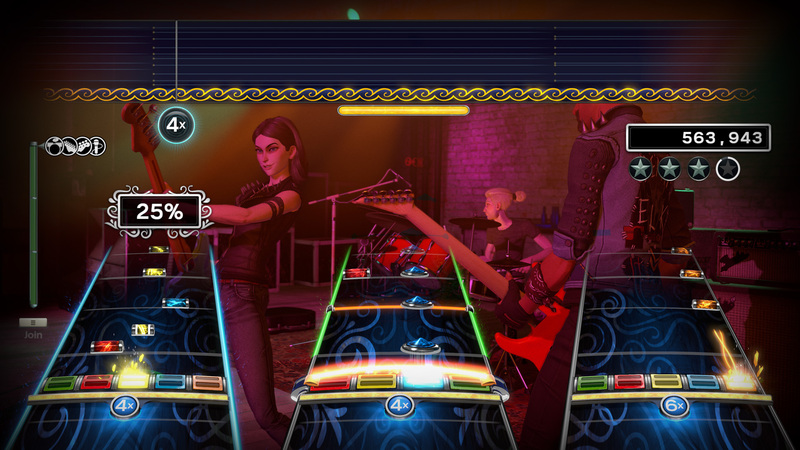 Published by Harmonix and Mad Catz. Available on Xbox One (reviewed) and PlayStation 4. Release October 9, 2015. Review copy provided by publisher. 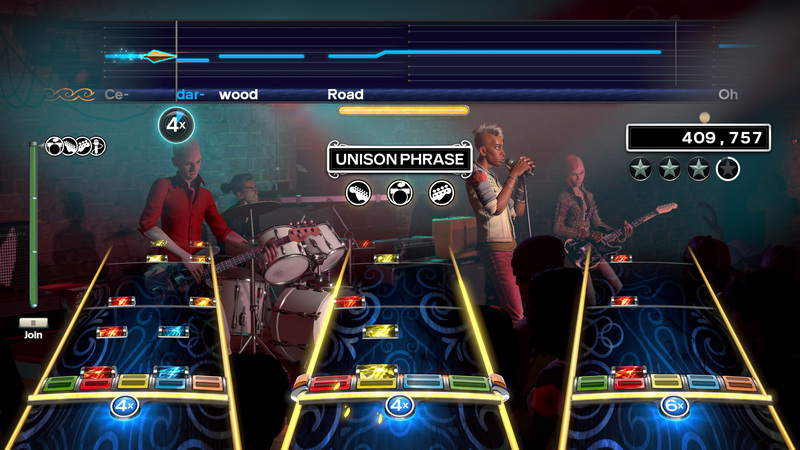 Rock Band had a fairly illustrious history as the go-to party game for some time. 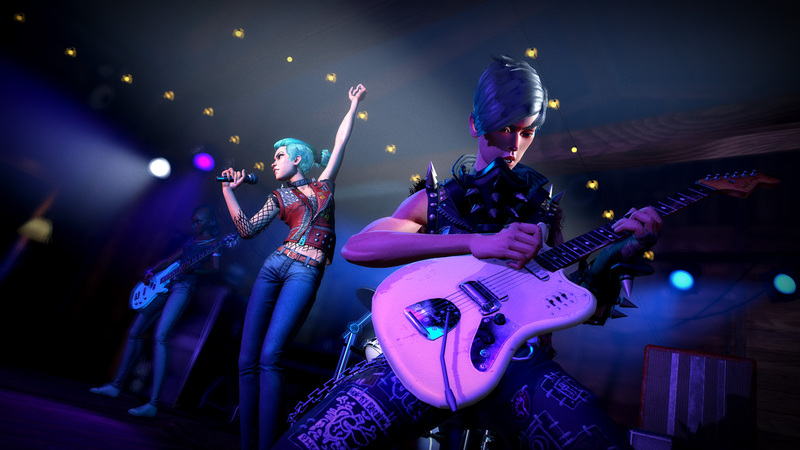 The trend died out a few years ago, and it slipped from gamers' collective minds until Harmonix announced its revival of the series with Rock Band 4 earlier this year. 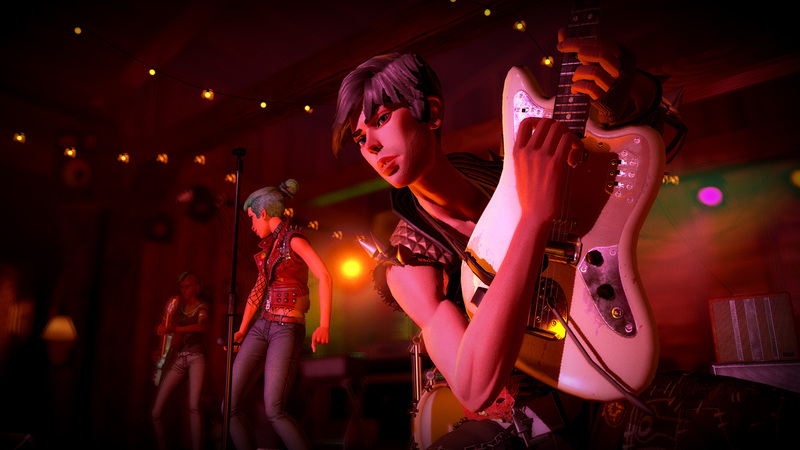 It sparked some buzz, but the hype around the new kinda-sorta-rock-star simulator hasn't been nearly as prevalent as I'd personally expected. Having just experienced it for myself, I do expect the series fans to flock back, at least to some extent. 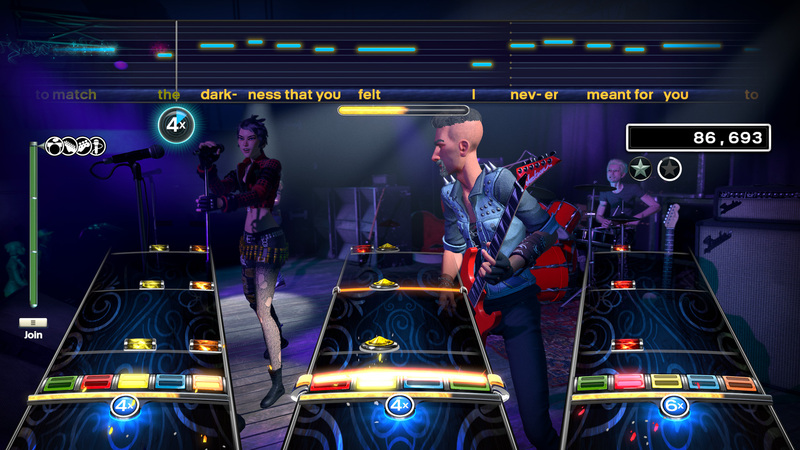 In case you missed the original fervor, Rock Band is a rhythm game where players use plastic instruments to emulate a band playing a show, with an impressive catalog of music across a wide range of musical genres. 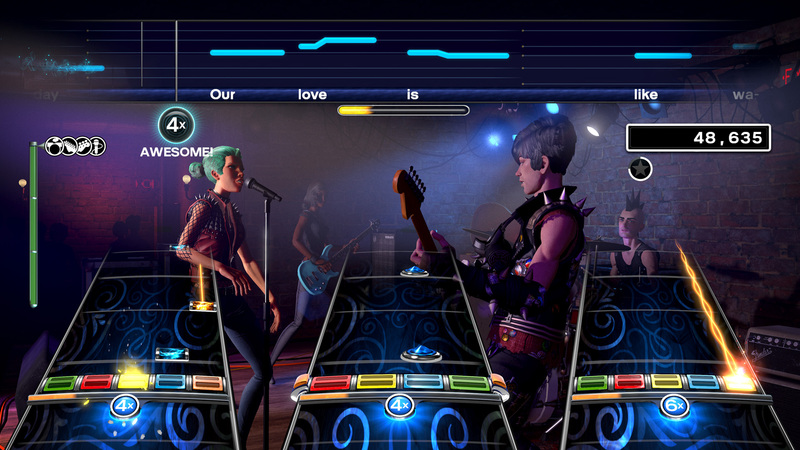 It can support up to four players; a guitarist, a bassist, a drummer, and a singer. 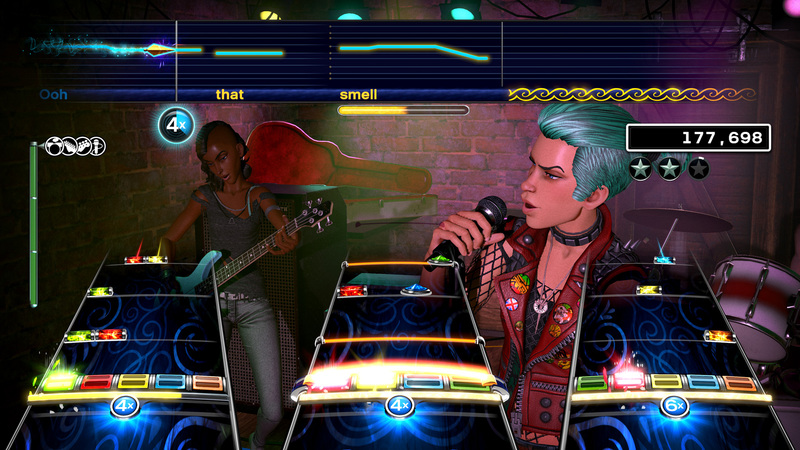 You earn points by hitting correct notes, indicated on screen by a flowing river of colored icons, indicating which color to hit and when. If you don't miss any notes - and don't hit any extra notes - you'll start accruing a score multiplier, which is fairly integral to getting five-star scores on a song. No rock star would be complete without some embellished on-stage behavior, mirrored in the Overdrive mechanic, which, once you've gained enough energy, you activate by tilting your guitar or bass high up, mimicking something you might have seen from an 80's hair band. 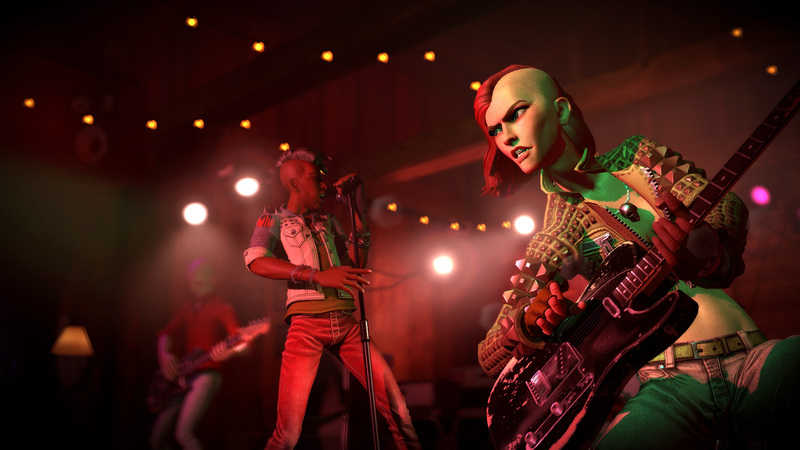 You can play one-off songs in Quickplay, or a multi-song set list with the Play a Show mode, or you can take your band on tour in the Tour campaign mode. The one-off game modes are primarily for a short session with friends, or for those with particular music preferences which might not be available in any given Tour mode section. The Tour is where you'll see persistent progression, gaining fans and cash from playing gigs around the country, at least if you perform well. 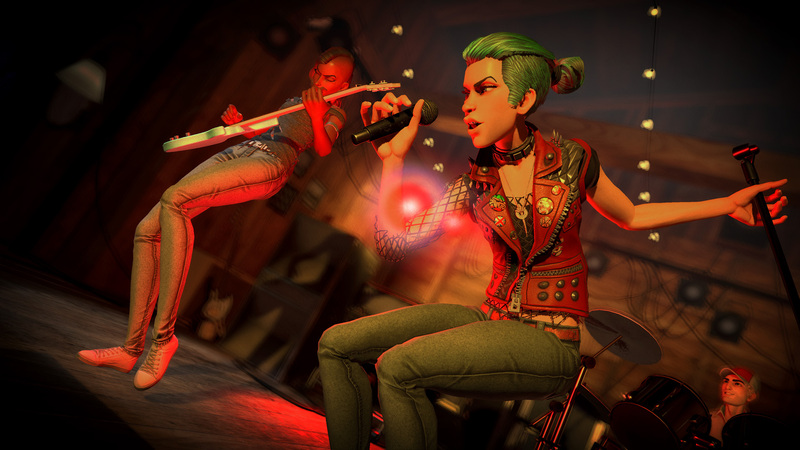 Rock Band 4 offers some branching decisions on the Tour, which will distinguish your playthrough from others by focusing on garnering fans or earning cash, rather than getting a consistent balance of the two. You can spend your money at the shop for cosmetic unlocks, which might be important for those who like robust customization options. The song catalog in the core Rock Band 4 game is decent, but not particularly robust by comparison to the series' back catalogue. 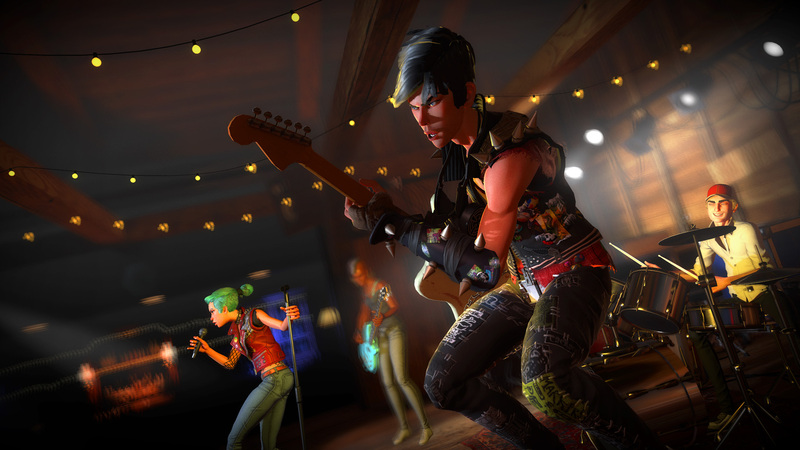 The store will offer many more DLC songs, and, most importantly, will allow you to import previous song purchases from the old days of Rock Band. The store currently appears to have over 200 song packs available, so you'll have no shortage of musical options. There are a lot of people out there that bought a lot of music, and offering legacy purchases for free is a boon for long-term players, and, in my opinion, the betterment of game company etiquette in general. There aren't too many folks that like buying a product twice, and this is a wonderful precedent. 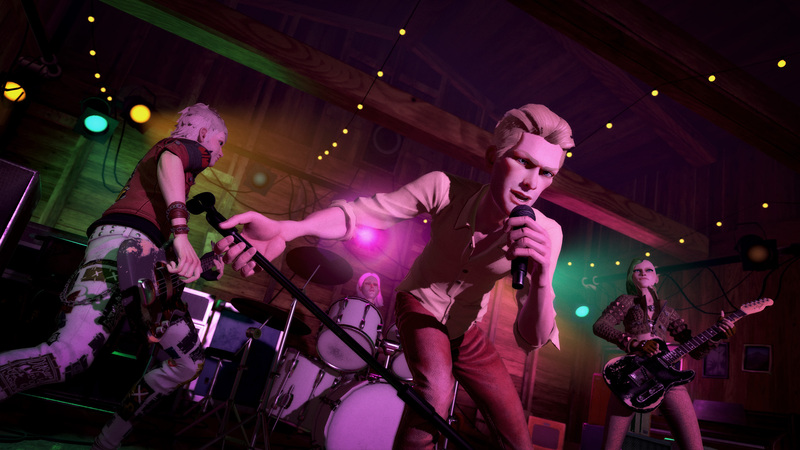 While there's something to be said for trying something new, many fans will appreciate just how true to the originals Rock Band 4 remains. 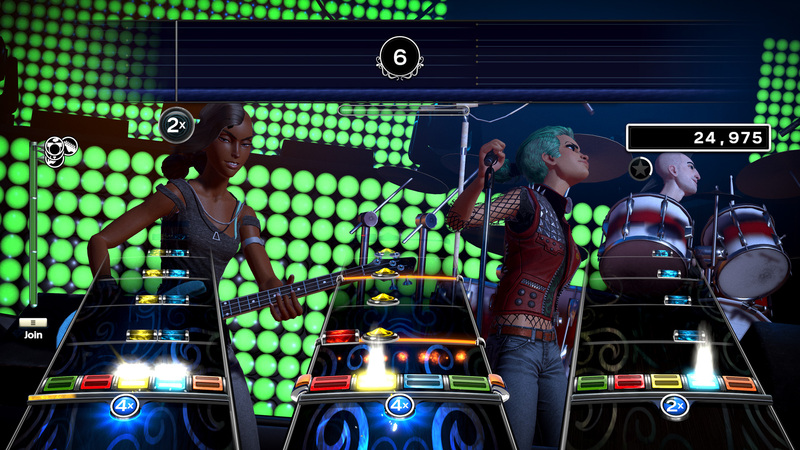 Harmonix didn't mess with the formula. 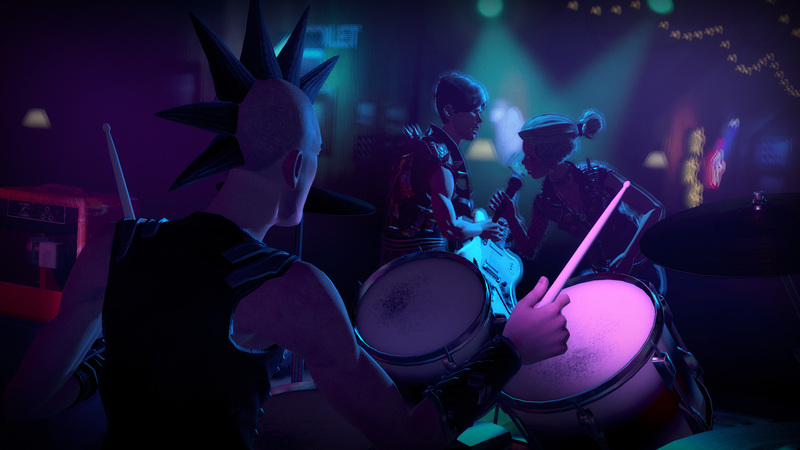 It's exactly what you expect when you think Rock Band, though there are a handful of updates of note, even if they're not terribly impactful on the experience as a whole. The new "freestyle guitar solos" are referenced frequently, and are absolutely an improvement from previous solo schemes, although they are to some extent more restrictive, not less. 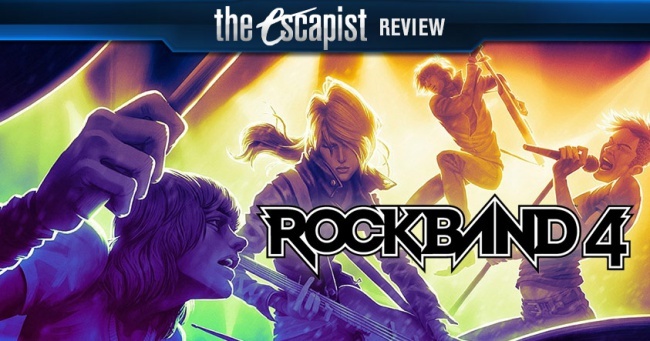 The Rock Band 4 solos do, almost invariably, sound notably better than the legacy solos, which never amounted to much - at least among my play group - outside of frantic strumming and chaotic notes. The new solos don't always match up one-for-one with the frets or strums you use, but does a great job of filling the sounds out with its own built in licks. By comparison to the anarchy of the old solos, the new scheme brings guided strumming into play, alongside the improved-sounding mirror of the old solo style. 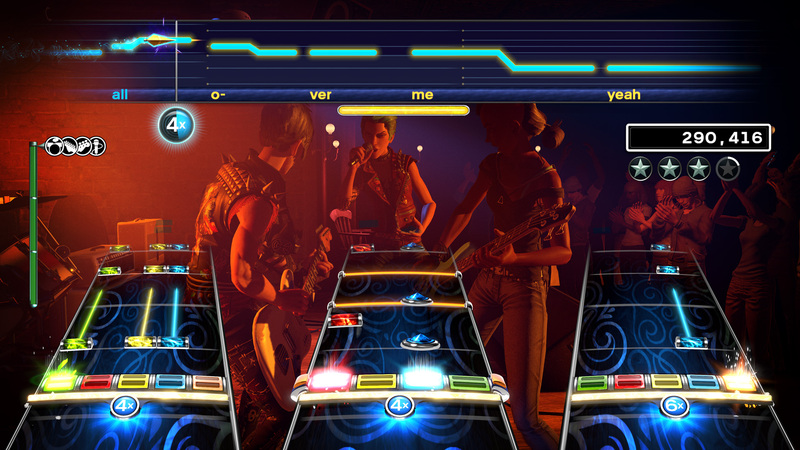 Keeping time with your strums - strumming patterns are indicated as thin blue bars spanning the board, while sustained notes are wide blue columns - will maintain your multiplier, keeping your score boost going. 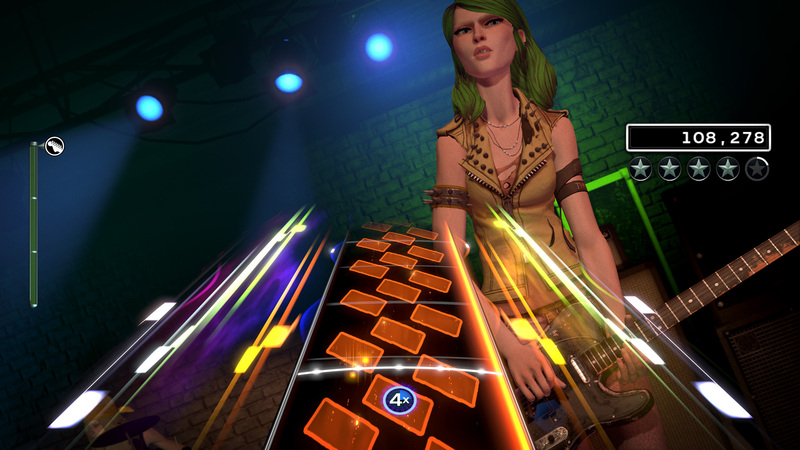 Harmonix teamed up with peripheral company Mad Catz to ship the new instruments, which are mostly improvements from previous versions. The drum stand is virtually identical, but the drum pads are a softer material, significantly dampening the sound of the drumstick strikes. It's a minor change, but makes a world of difference, allowing focus to be on the game's music, instead of the drum tapping. It lessens the detriment that a terrible drummer can have on the band's performance, since you won't need to focus on blocking out the off-tempo tapping. The drum pedal seems to have a bit more resistance to it, making rapid pedal hits a minor challenge, though will loosen up slightly as you break it in. The wireless guitars are modified slightly as well, with a five-point lever switch that alters your solo sound with effects like wah-wah, as well as better navigation controls with the d-pad. The biggest flaw in the guitar is that you can't use the Xbox button to turn it off. It'll let you shut down the console, but not the guitar itself. Of course, you can just pop the battery cover off in half the time it takes to use the Xbox button, but, as with the several other concerns of debatable merit, someone will think it worth a mention. Like the guitar, the drums are wireless, and most of the menu navigation can only be done through the standard controller buttons now present on the kit. The microphone is inexplicably wired, so you will need an available USB port for the full band experience. While there are a handful of minor complaints, the only concern of significant impact on the game experience is the lack of difficulty indicators on the set list voting screen. When you play a show in either Show or Tour mode, your band will be given a list of options to vote on for inclusion on the set list. Options can include specific songs or more general categories, such as "80's Rock." Without a difficulty indicator, though, you're going in blind unless you've memorized all the song difficulties by instrument, making for some embarrassing performances of high-difficulty songs. 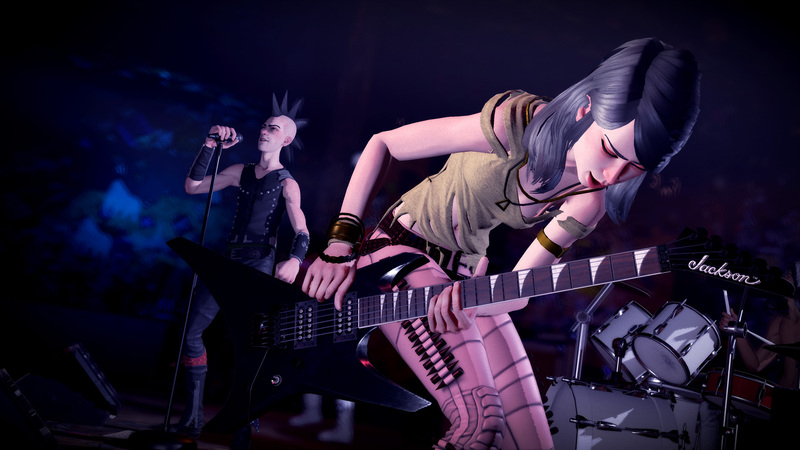 Bottom Line: Like many, I've been a fan of Rock Band for years, and Rock Band 4 fills all of those gaming inclinations. The several minuscule issues coupled with the primary, yet still small concern of ambiguous song difficulties mean it's imperfect, but not by much. 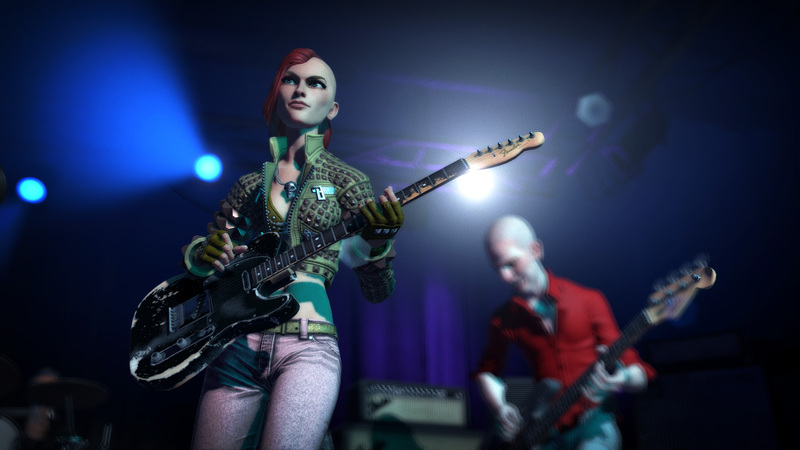 Recommendation: If you've got a catalogue of Rock Band legacy music, Rock Band 4 will pay for itself simply in paid DLC that you'll have access to again. 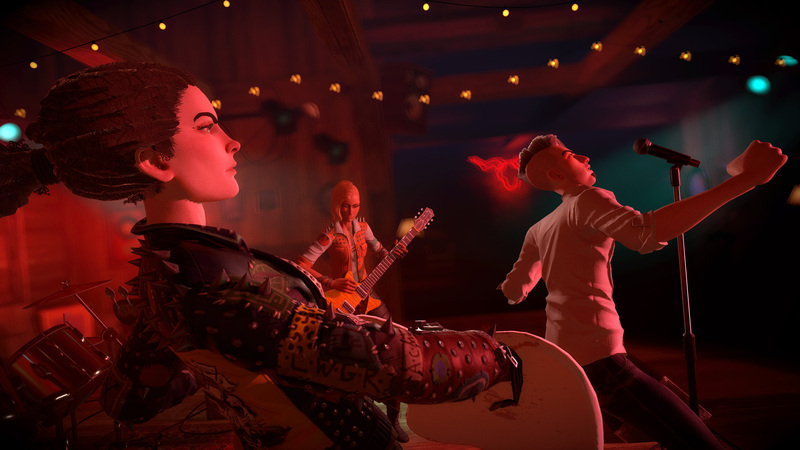 If you're new to the franchise, love some rock and roll, and don't mind looking just a little bit silly as you rock out on a plastic toy guitar, you'll want to check it out as well.